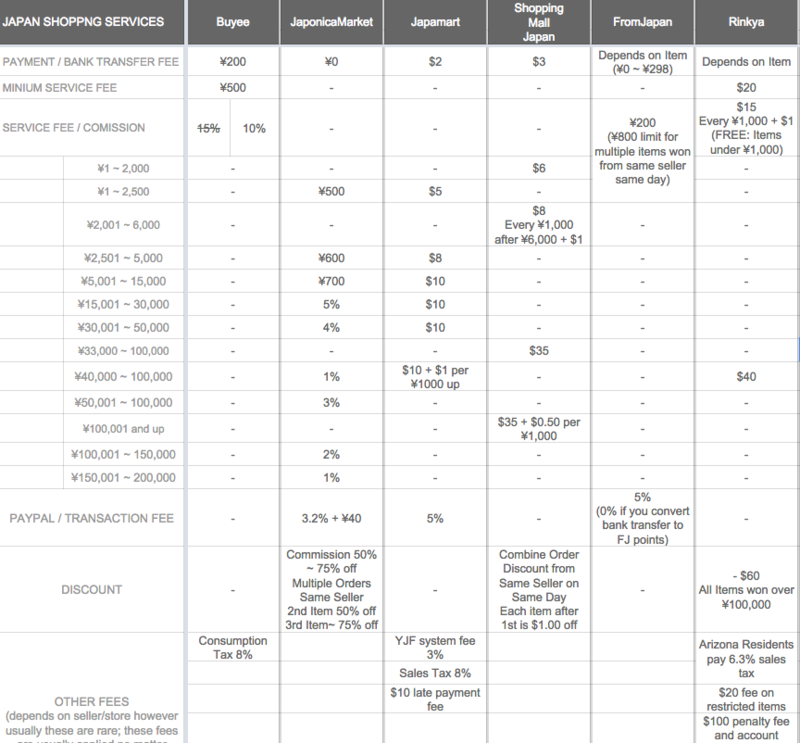 Note: Please note the ¥ and $ symbols as that might affect your costs and fees. 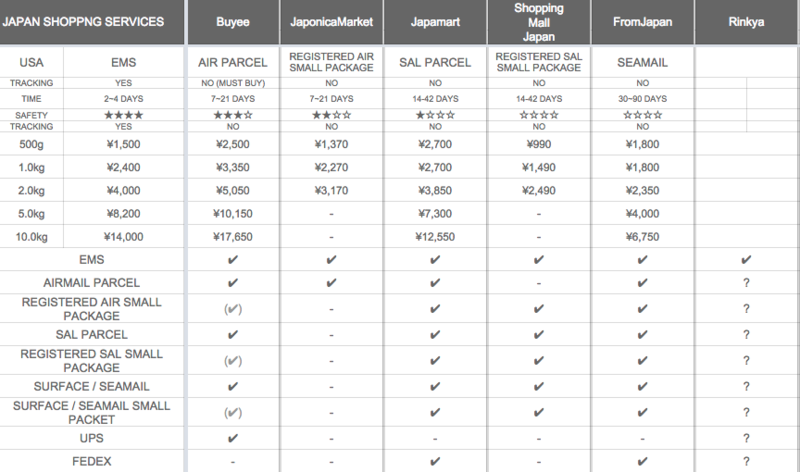 Maybe I should make a more detailed post about using Japanese Shopping Service and how they work. I don't really have the time currently so maybe in the future. Anyways, I have been using JaponicaMarket since 2010 I think? They are a great service to use! First, JaponicaMarket is a manual service. It is recommended that you tell them to place your MAX bid; the highest amount you are willing to go. Once they bid for you, it will act similar to eBay where you can see if you are the highest bidder. If someone bids after you, your increment will increase until it reaches your max. It is recommended that you them to place your MAX snipe. Snipe works similar to bid; the only difference is that they will bid around 10minutes before the auction ends. They will bid the amount that you informed them to. One thing I love about JM is that they offer discounts if you purchase from the SAME SELLER on the SAME WEBSITE. Payment for your items are automatically withdrawn from your deposit that you pay in advance through PayPal in order to even place a bid or buy-it-now. It takes a couple of days until it arrives at the agent warehouse. Once it arrives to the warehouse, they will store your item up to 30 days. When you are ready, you email them to let them know you want all your items shipped and they will send you a PayPal Invoice for the remaining amount + shipping. You will have 7 dyas to pay for it. They will then ship it to your name and address on your account and PayPal which has to match. They don't allow other addresses to be shipped. They also only accept EMS and Registered Airmail. They do not accept SAL anymore since they want to solely want to use insured shipping methods. They also do 'Safe Packing' for free (Buyee & FromJapan charges extra for this service) which is when they will minimize the packing to save international shipping. Hopefully this covers everything. If there's anything else I didn't touch upon or you want additional info please let me know!